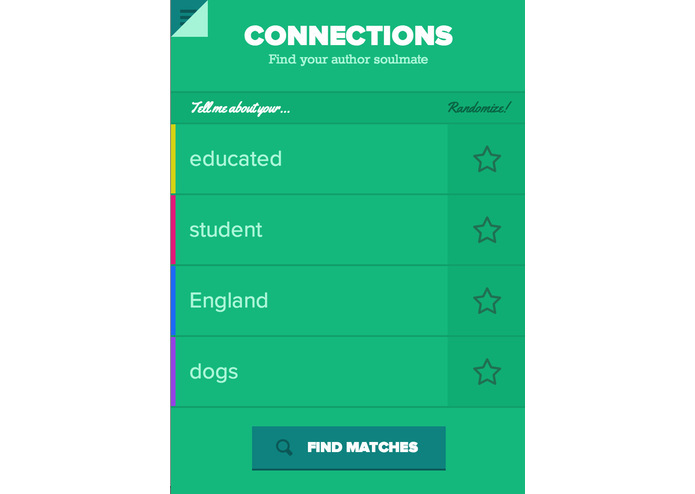 Connections is an author and book discovery app designed for readers exploring their identities and the identities of others. 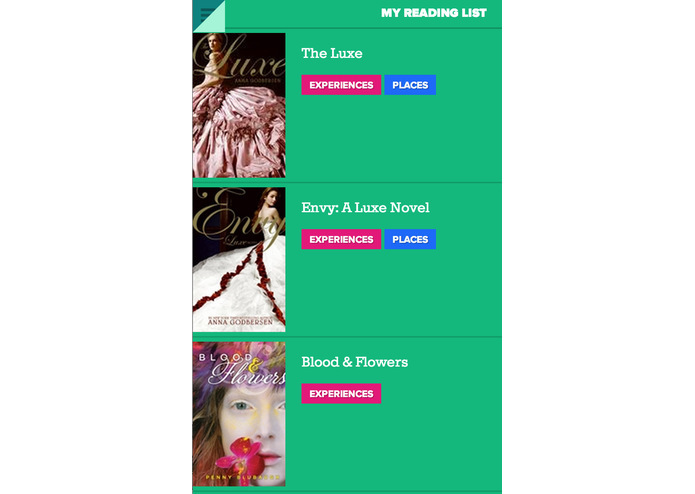 Using a combination of traits, readers can discover authors that share similar identities, experiences, locations, and topics. 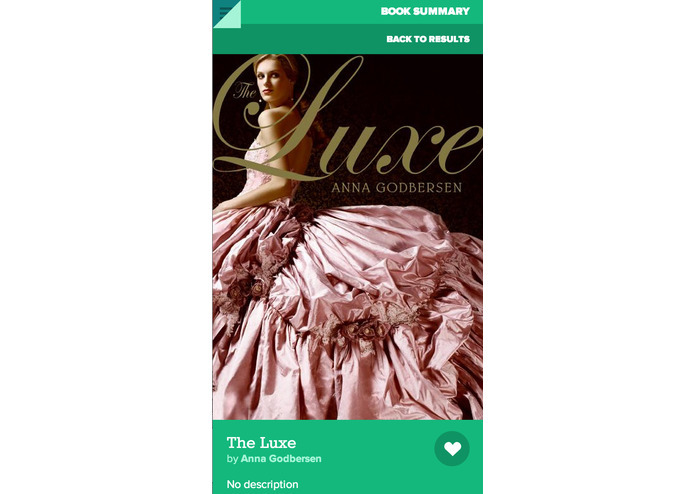 Books discovered through the app will take on more personal meaning as readers get to know the authors behind them. 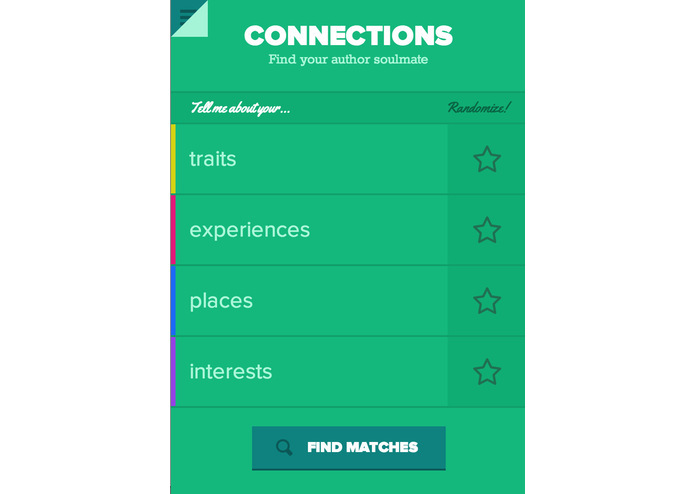 To help ensure that each author connection is as robust and accurate as possible, Connections uses unique technology to drive the discovery experience. 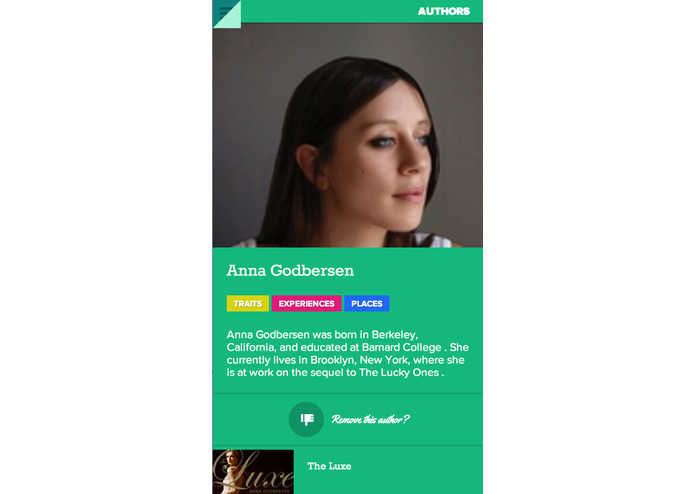 With semantic entity extraction and support vector machines, Connections is able to read author bios pulled from the HarperCollins API and recognize patterns of keywords to build an experience and identity profile for each author. We are passionate about CONNECTIONS, because the process of self-discovery is wide and deep--we’d like to be there with a good book to help the reader at just the right moment.